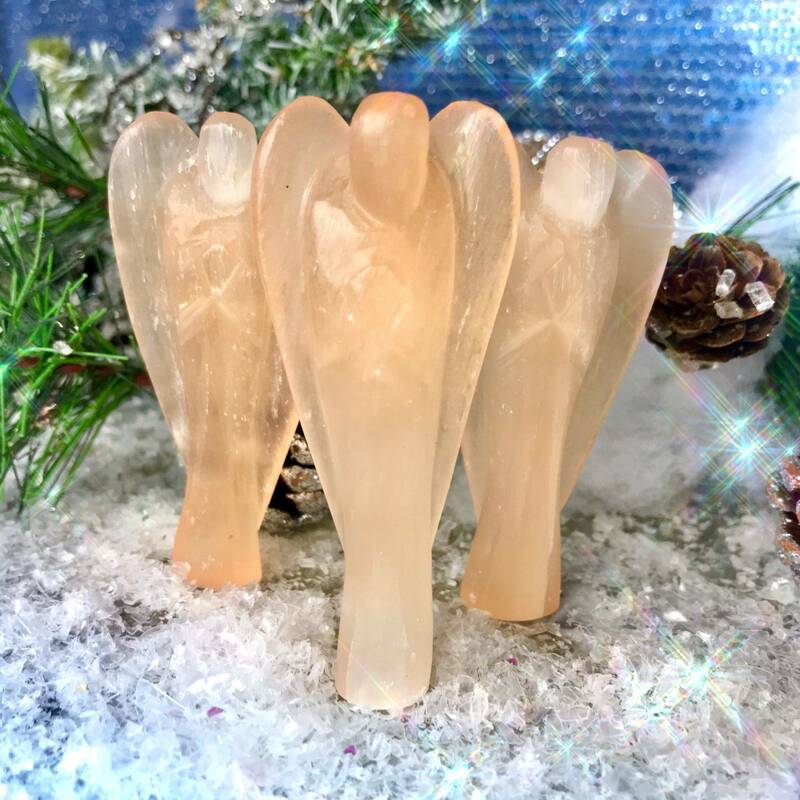 Boost your creative energy and flow with these beautiful Orange Selenite Angels of Creativity. Orange selenite is an electric gem for the Sacral Chakra. This crystal enhances your creative and sexual energy, opening you to greater ideas, visions, goals and passion, and the execution of those ideas! And when shaped as angels, as these pieces are, you bring in the symbolism, protection, and guidance of the celestial realms. Work with these gorgeous pieces to unlock your potent creative power and potential. Orange selenite is a unique healing gemstone with the ability to enhance your creativity and sexual energy. Orange selenite, which is more rare than white, is a Sacral AND Crown Chakra stone, activating your spiritual connection and your personal sense of creative power. The vibration of orange selenite provides a protective and restorative energy to your body and your environment. Happiness, meet crazy passion and creative reawakening. 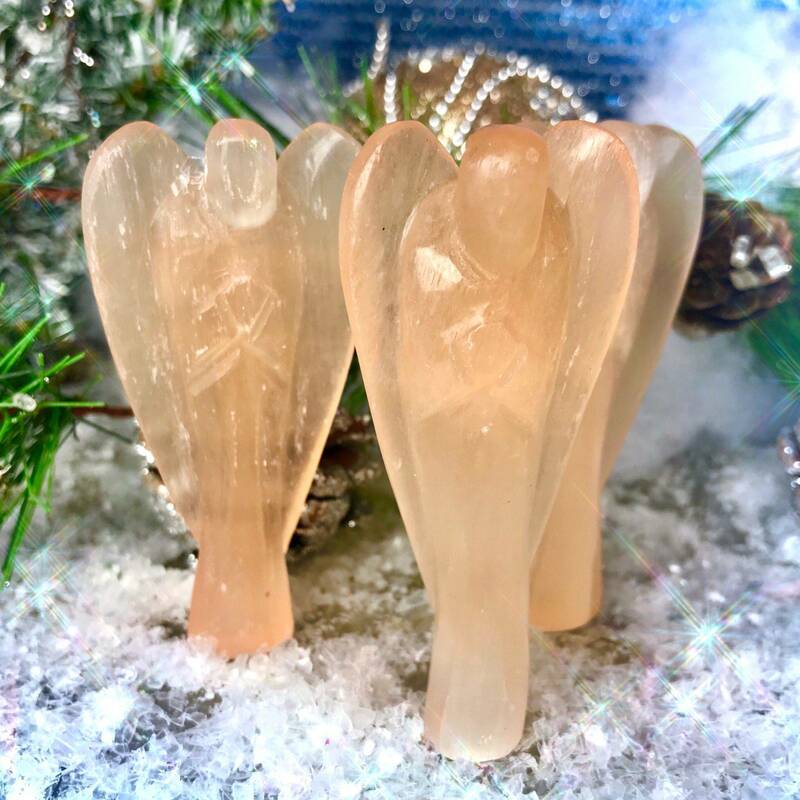 Place your Orange Selenite Angels of Creativity on your altar, desk, or anywhere in your sacred spaces to increase the vibration of imagination and creativity. Meditate with these angels, connecting to the wisdom of the celestials and bringing forth that wisdom into creative projects, plans, and so much more! May these Orange Selenite Angels of Creativity bring you joy, enthusiasm, and a boost of passion! 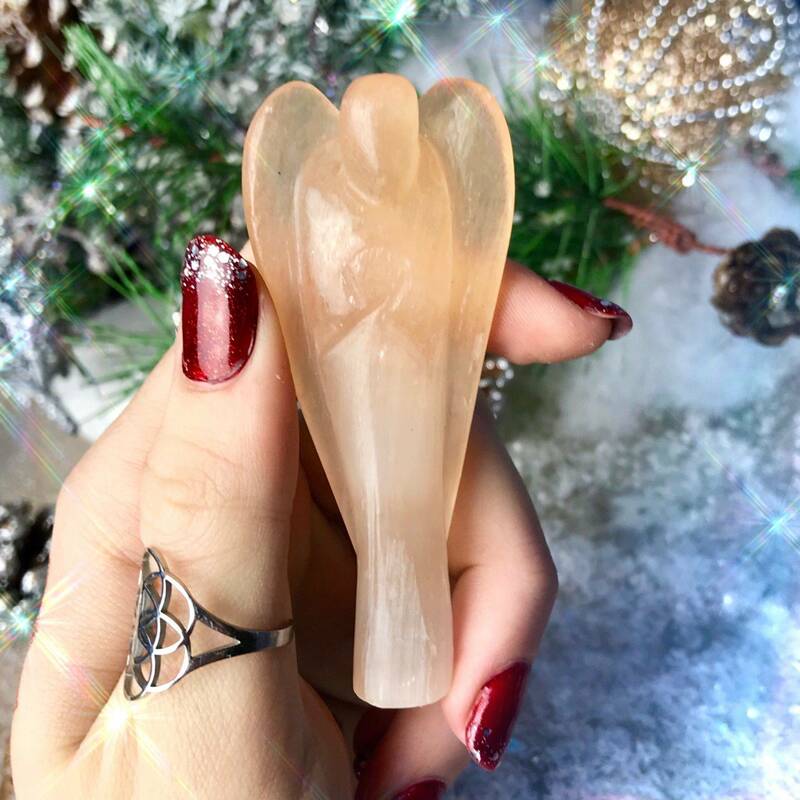 This listing is for one (1) Orange Selenite Angel of Creativity (about 3”). Yours will arrive lovingly parceled along with a single leaf of white sage and a card describing the properties of the stone.